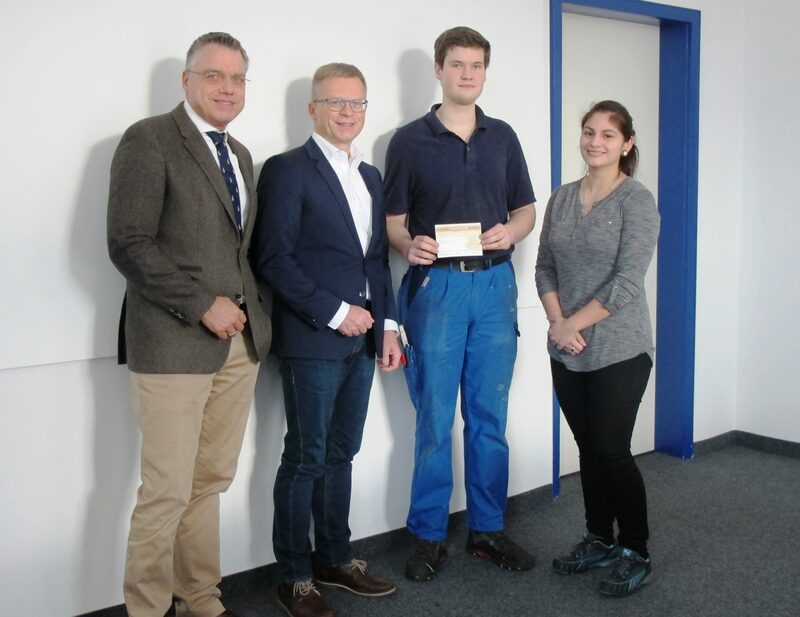 On 17.01.2019 we presented our “Christmas check” to Mr. Thomas Kleist, Managing Director, LICHTBLICKE e.V., parents’ initiative of children with cancer in Augsburg. We wish LICHTBLICKE e.V. much success in the implementation of the many beautiful project ideas. A particularly great project for 2019 is the provision of a music therapy room in the Swabian Children’s Cancer Center in Augsburg. Our picture shows from left to right: Martin Döring, Director J. N. Eberle & Cie. GmbH, Thomas Kleist, Director Lichtblicke e.V., Mark Lampe und Christina Sollka, Youth and Training Representatives, J.N. Eberle & Cie. GmbH.